According to the firm, candidates for the 2L Diversity Scholars Program submitted written applications, detailing academic and leadership achievements and a demonstrated commitment to diversity and inclusion, as well as their work and personal experiences. The firm received almost 500 applications from students at more than 90 U.S. law schools. “Our 2017 Diversity Scholars possess a tremendous amount of talent and ambition, and each one brings distinctive experiences and valuable perspectives to the firm. 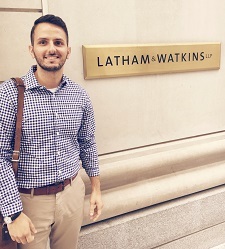 We are thrilled they will be joining us as summer associates,” said Bill Voge, Chair of Latham & Watkins.